Thoughtful Gift ideas continued! Check out this one made by @alkhaliqdesigns ! Check out all the other products by Al Khaliq Designs! We talked about giving charity, but how about specifically sponsoring an orphan as a gift to others? This family did exactly that – this is definitely a gift that will keep on giving long after both the gifter and the recipients are gone.. This is by far one of my most favourite Thoughful Gifts! Near the end of Ramadan, we invited the girls in our night classes to bring in a shoe box and we spent on evening decorating it and making Eid cards with a personal note inside. The girls then took them home and filled it with gifts – some suggestions were: Stationery/Stickers, Snacks/Sweets, Small notebooks, Small/soft toys. They then brought it back to mosque and it was collected by Sufra NW London who then distributed them to Refugee children in the UK! 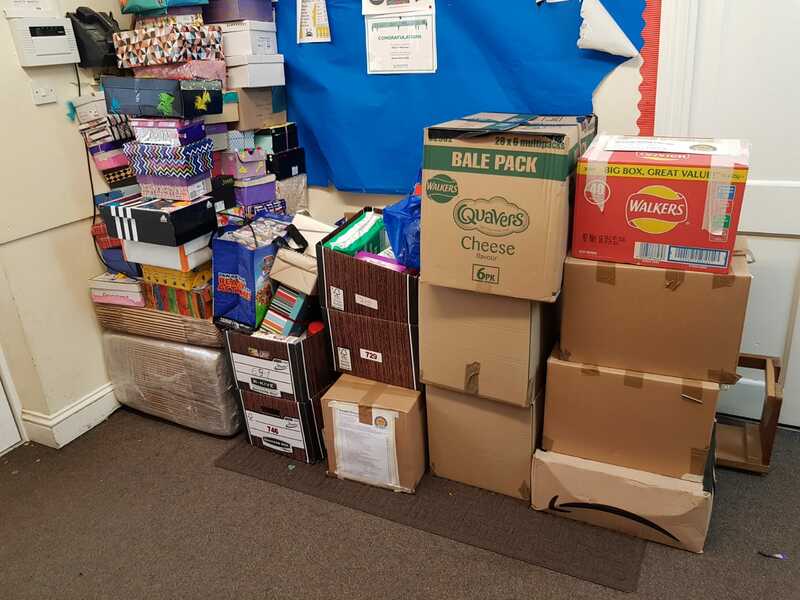 Here is a picture of them when they were brought back, alongside boxes of food bank items also, by those who followed Sufra’s Ramadan Giving Calendar where each day of the month, they put in an item. Here’s hoping these awesome gifts put a smile on their faces at a time when things aren’t easy! A little message can add so much meaning to a gift. This narration on friendship added that special touch! Here is what Towards Jannah said about this gift! 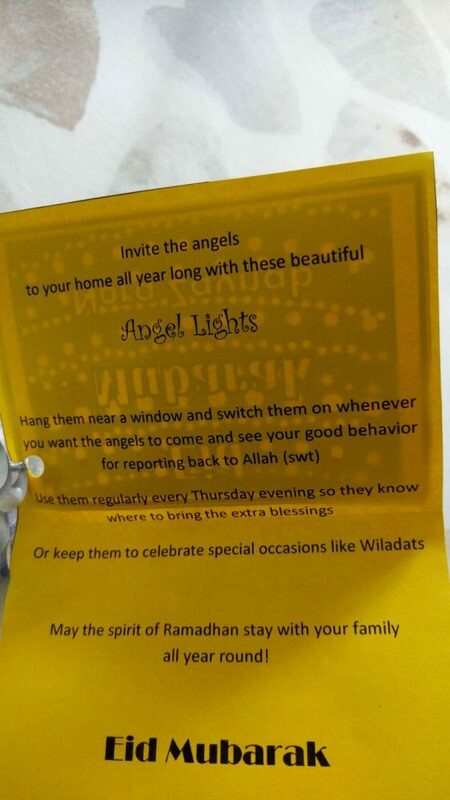 This year like all years, my kids’ teachers at the mosque have been more than awesome! I’m forever indebted to them for the incredible difference they make!